There have been rumors of an inappropriate relationship of some kind involving Cannizaro, the talented coach who took the Bulldogs to an NCAA Super Regional in his first season last year, and it would appear those had some substance to them. One weekend into his second season, Cannizaro is out. 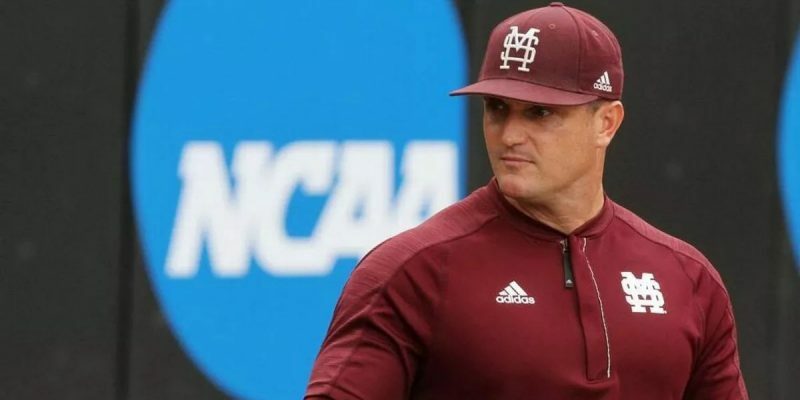 Mississippi State will officially terminate the second-year baseball coach’s employment Tuesday morning. Cannizaro’s dismissal is per sources with cause though University officials have yet to state on record what said cause is. An official statement is forthcoming. The University will place pitching coach Gary Henderson in charge of the 2018 team for the remainder of this season. Mississippi State opened the schedule over the past weekend with a three-game sweeping at Southern Mississippi. Cannizaro, 39, was hired as Mississippi State’s 17th head baseball coach on November 5, 2016. His hiring was made the same day nine-year head coach John Cohen was formally presented as athletic director. Cohen was able to take Cannizaro away from Louisiana State where he had spent two seasons as assistant coach and recruiting coordinator. The specific rumor was that Cannizaro had an affair with Mississippi State’s former director of football recruiting, who left with head football coach Dan Mullen for Florida. Her husband, the basketball coach at a nearby junior college, stayed in Mississippi. Whether that story is true, clearly something happened. You don’t fire a coach who won 40 games in his first year unless there’s a major off-the-field problem. It’s a shame. Cannizaro appeared to be a very promising young college baseball coach, and yet his career now seems over before it ever really got started. Excited to get back after it Wednesday against Jackson State! The responses following that tweet are nothing short of magical. Previous Article Should Public Schools Ban Kids From Having Best Friends?